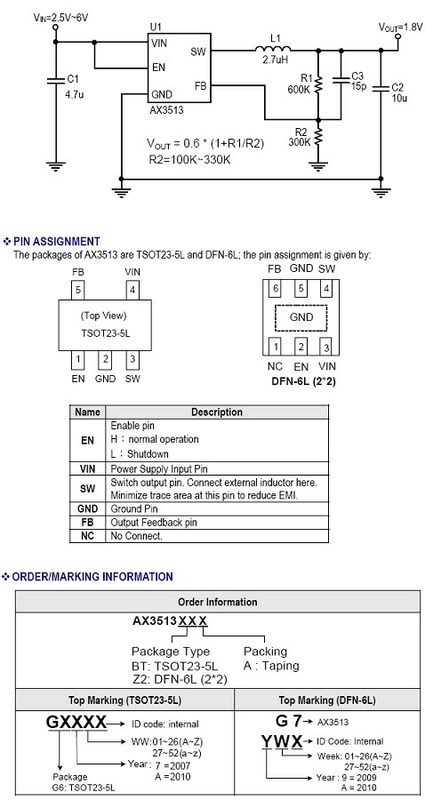 switch increases efficiency and decreases need of an external schottky diode. Low output voltages are easily supported with the 0.6V feedback reference voltage. AX3513 is available in small TSOT23-5L and TDFN-6L packages.